The PMER Officer’s overall task is to support the PMER functions for LEO in ensuring the quality and timely delivery of all plans/appeals/reports; and to work with Indonesian Red Cross (PMI) and IFRC staff in Lombok to improve PMER capacity so that IFRC planning, M&E and reporting standards are met. Working closely with field team to collect, collate, and edit inputs from the field to refine the draft of the Emergency Plan of Action (EPoA) according to the needs and situation in the field, based on IFRC’s PMER standards. Assisting the PMI provincial and district branches to design, develop, and adapt their strategic planning in regard to the Lombok operation. Briefing of every new personnel deployed to Lombok on PMER functions in the IFRC and its function related to PMI counterparts in the field. Liaising with Information Management counterparts within the IFRC as well as PMI in NTB, to verify data for planning purposes. Initiating the collection and collation of inputs from the field and ensuring that accurate information and required formats are used, in order to support the proposal writing processes for institutional donors – e.g. DG-ECHO, OPEC Fund, governments, etc. Regularly keeping track and record progress of each intervention outlined in the Emergency Plan of Action (EPoA) according to the targets and indicators. Liaising with Information Management counterparts within the IFRC as well as PMI in the provincial and district branches to verify data for monitoring and evaluation purposes. Working closely with the field team, to identify existing monitoring and review mechanisms in the PMI’s Plan of Action to ensure that reports incorporate accurate and relevant information. Supporting and monitor with quality checks of activity reports/inputs from the field team, as well as for PMI reports. Assisting in the carrying out of assessments, evaluation and reviews. Ensuring that IFRC colleagues in the field team, as well as PMI PMER focal point(s), other similar role(s) in the field are updated with all relevant operational decisions. Assisting evaluation internally and externally and support the use of evaluation results within the Indonesian Red Cross (PMI). Preparing progress reports for internal and external audiences, including but not limited to situation report, consolidated monthly operational reports, operational updates, pledge-based reports, etc. 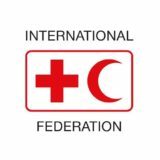 for IFRC and other stakeholders. Working closely with the LEO team to ensure the efficient and effective delivery of reporting related to the Lombok Earthquake operation. Initiating the collection and collation of inputs from the field and ensuring that accurate information and required formats are used, in order to support the drafting of various reports including pledge-based reports for various donors – e.g. DG-ECHO, OPEC Fund, governments, etc. Assisting with the set-up of appropriate internal and external reporting systems based on IFRC and NS’ standards. Liaise with other PMER counterparts for networking and sharing experiences.